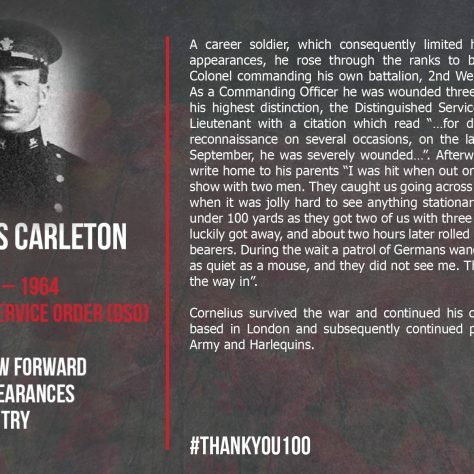 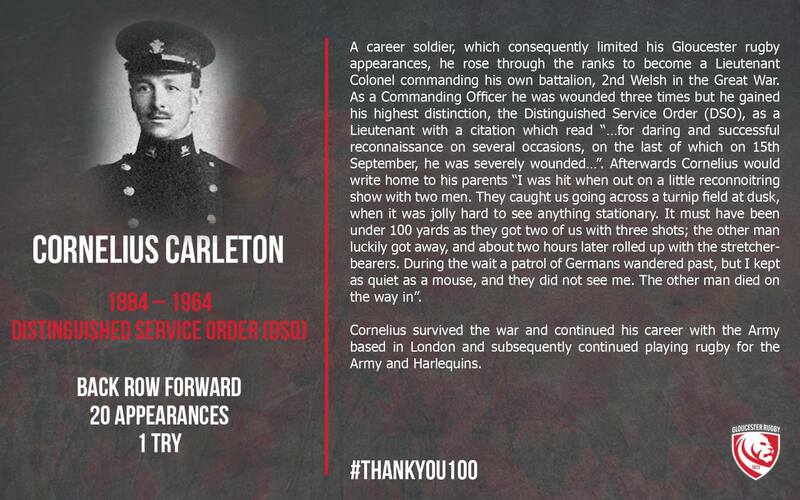 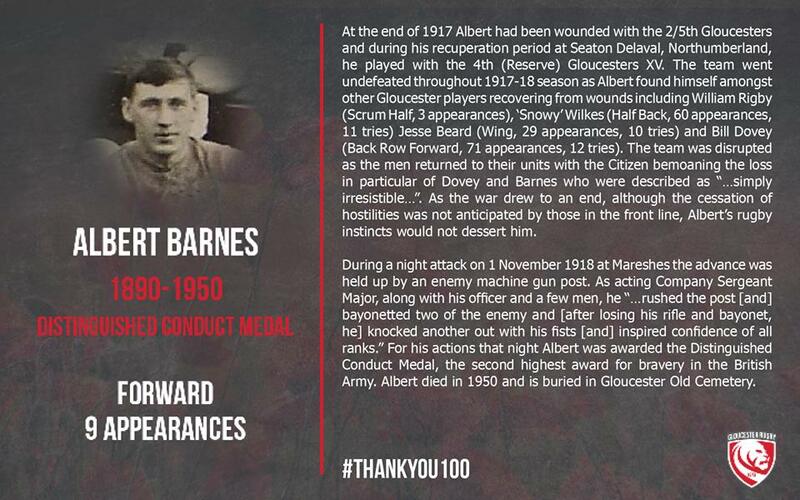 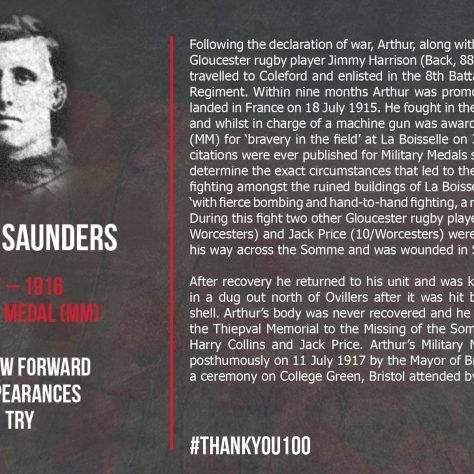 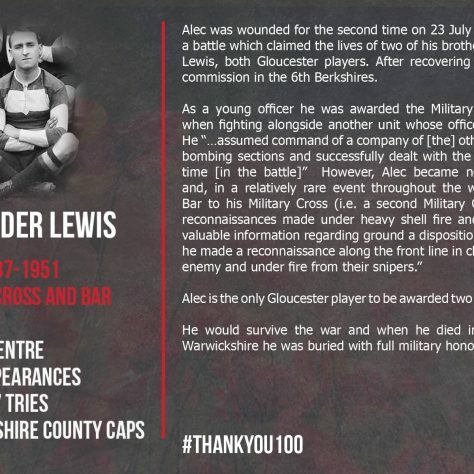 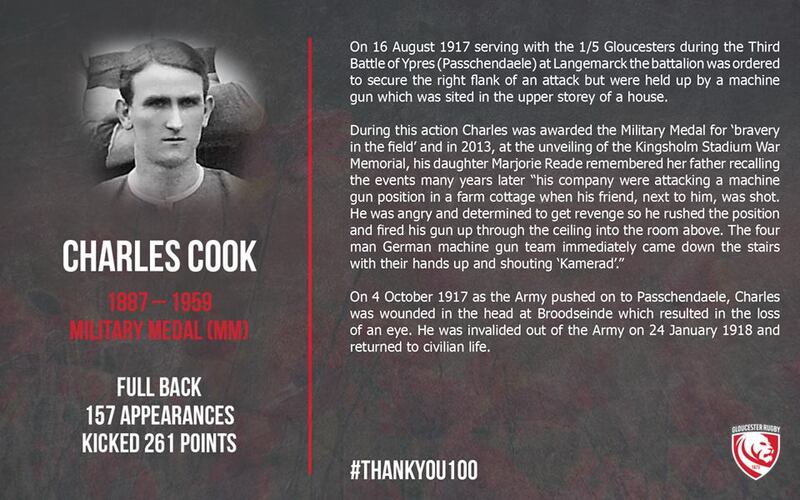 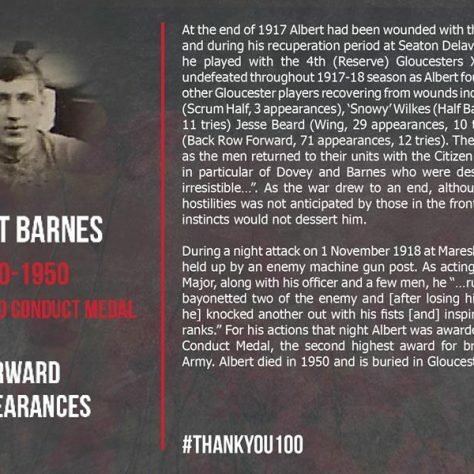 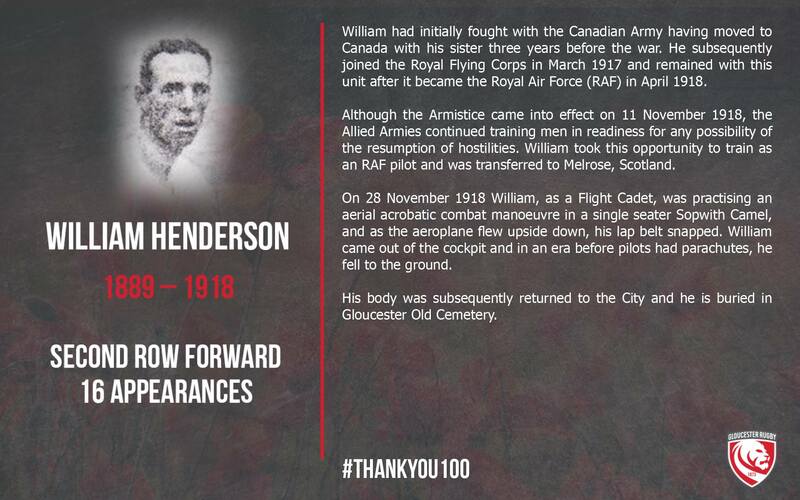 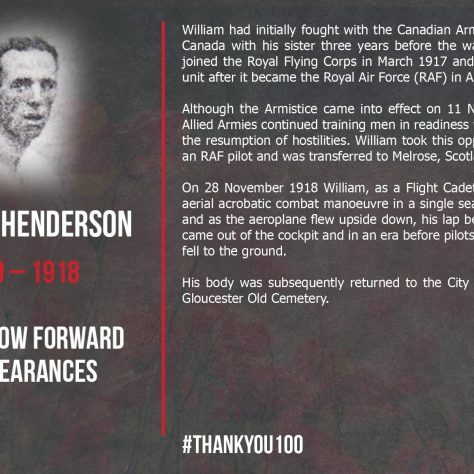 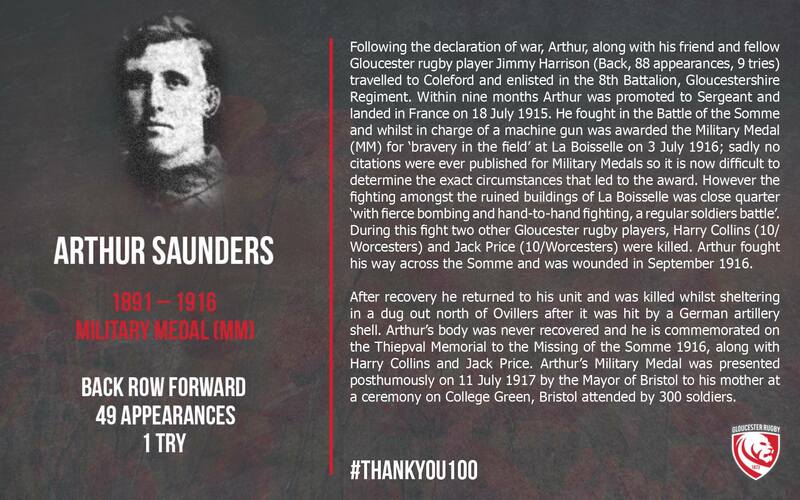 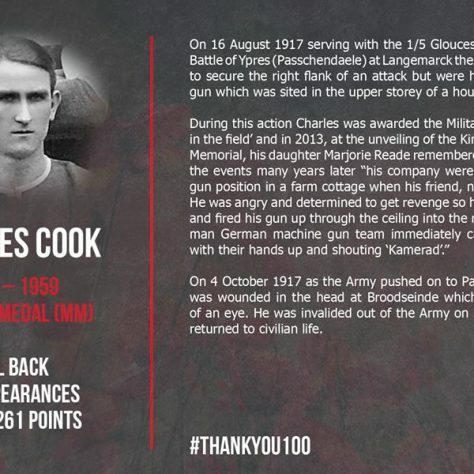 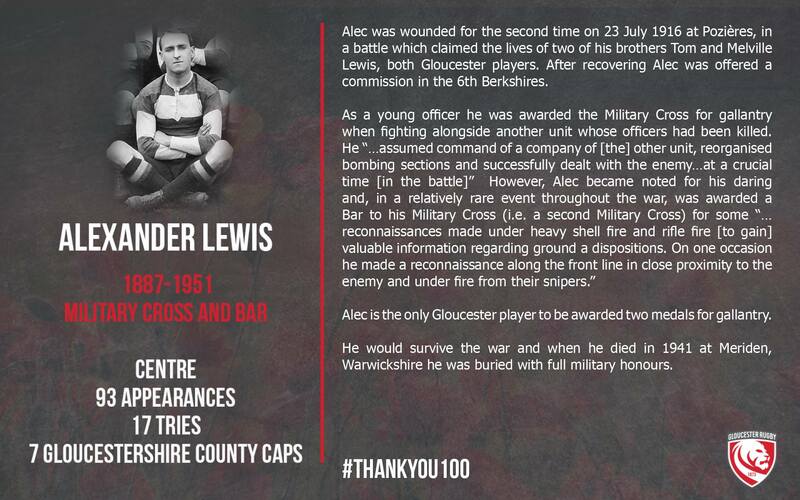 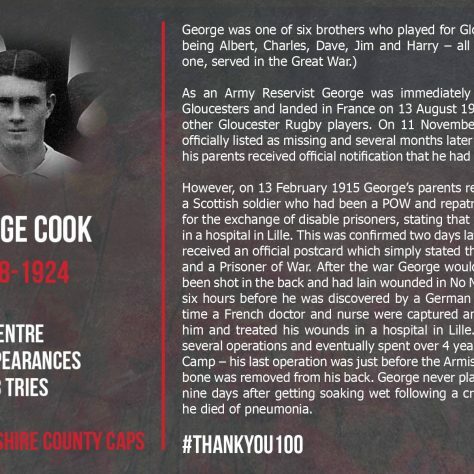 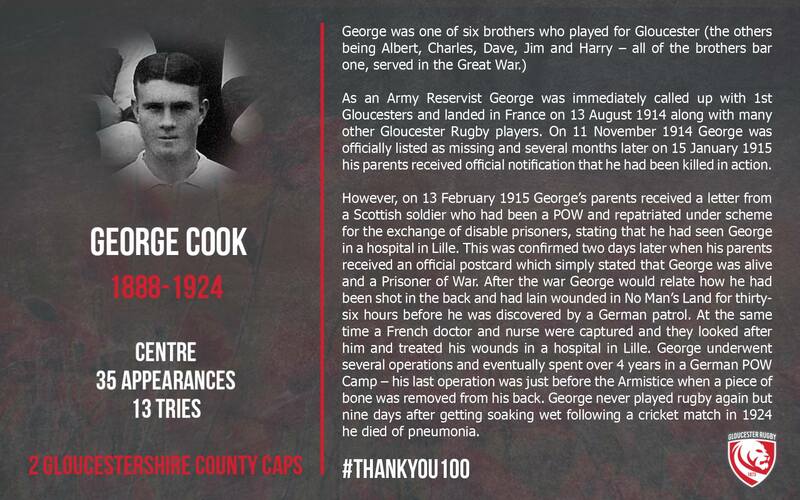 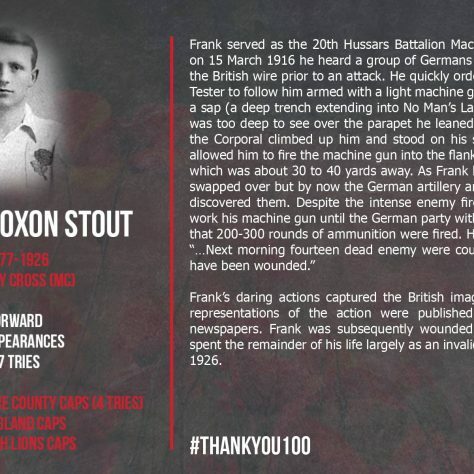 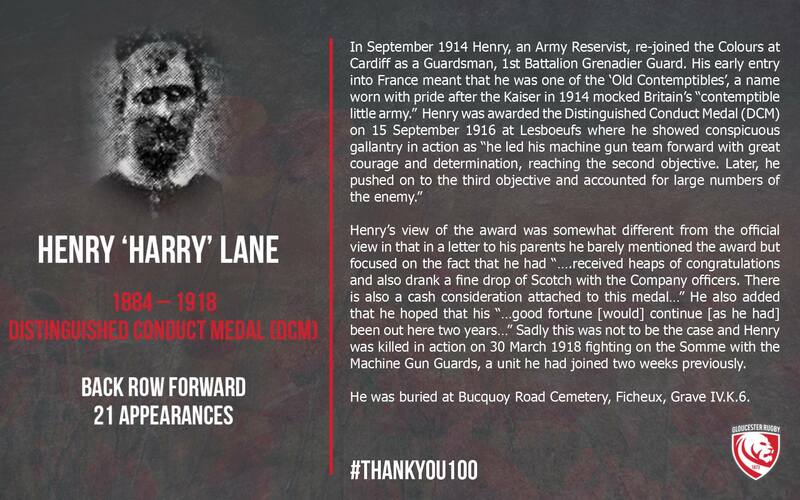 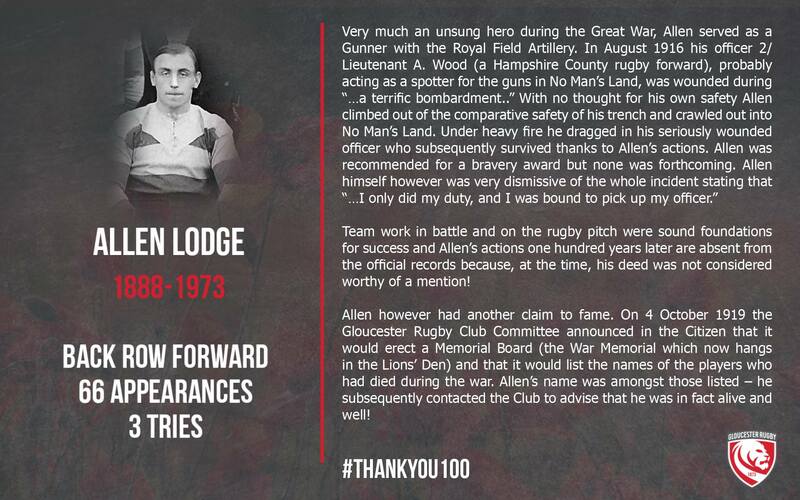 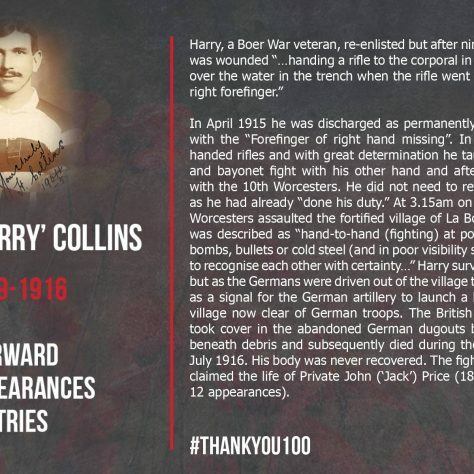 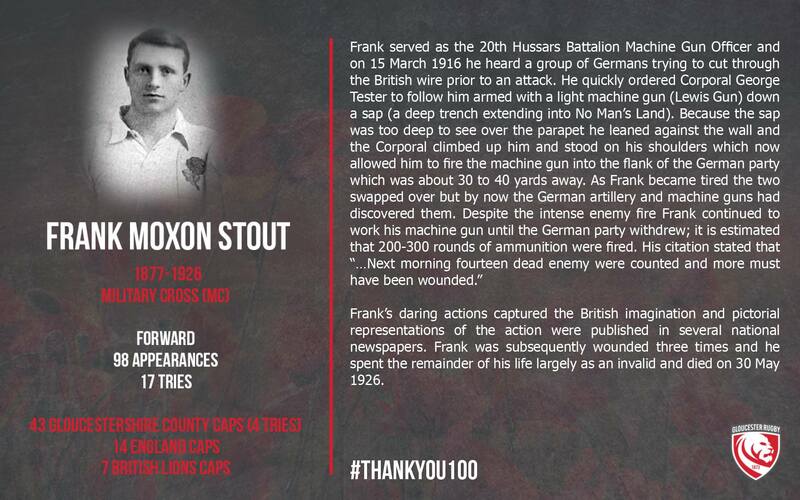 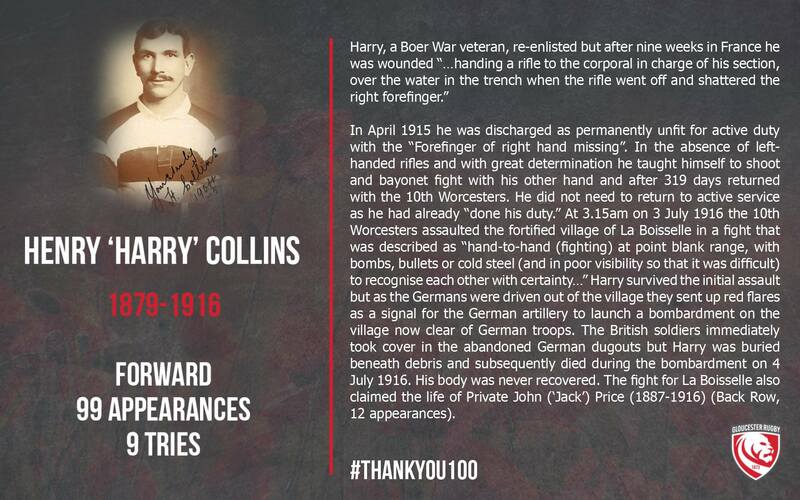 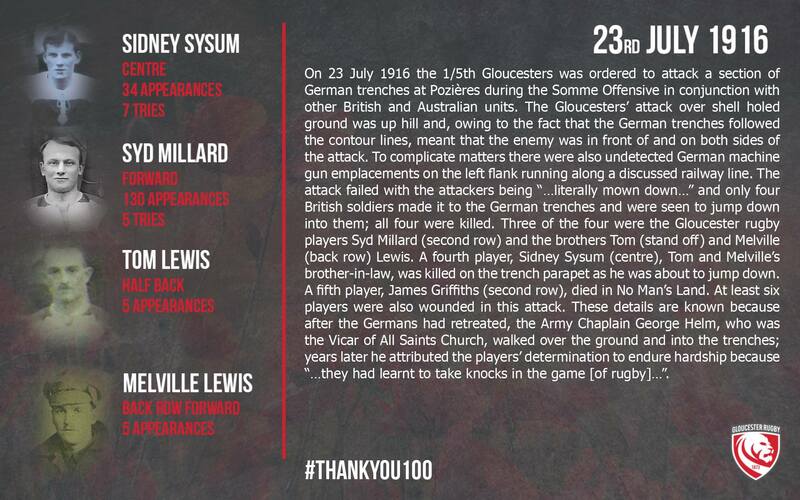 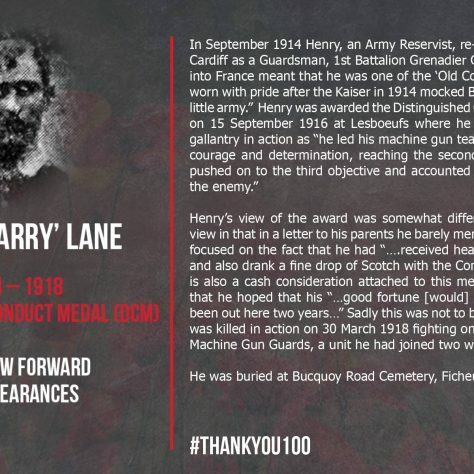 You are here: HomenextPeoplenextHonoursnextMilitary Honoursnext1914-1918 Gloucester Rugby "#ThankYou100"
Starting on 29 October 2018 Gloucester Rugby published the above citations on Facebook and Twitter. 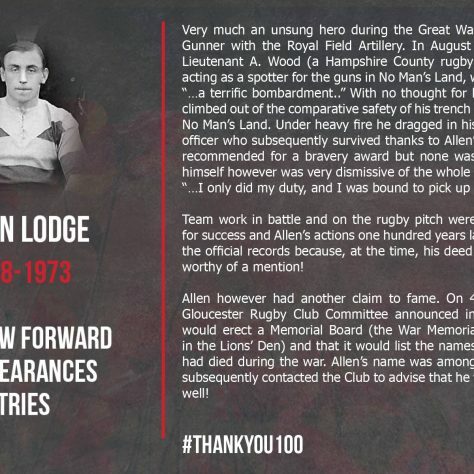 This was one of the events undertaken by the club as part of the national #ThankYou100 campaign to commemorate exactly 100 years since the end of the Great War. 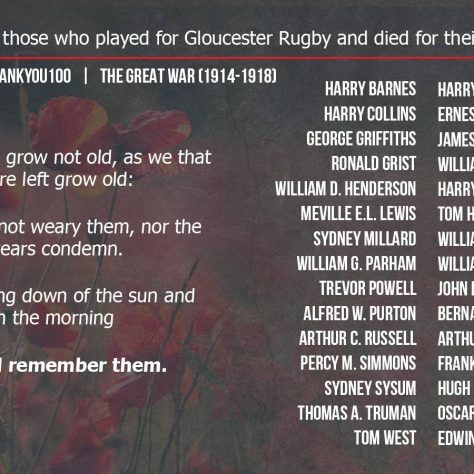 On each of the 14 days leading up to and including Armistice Sunday on 11 November a fresh citation was published at exactly 11:11am on both social media platforms. 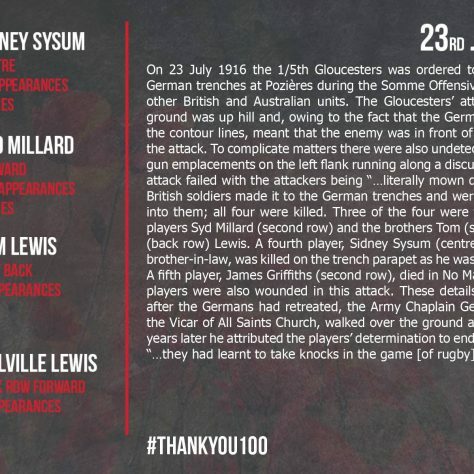 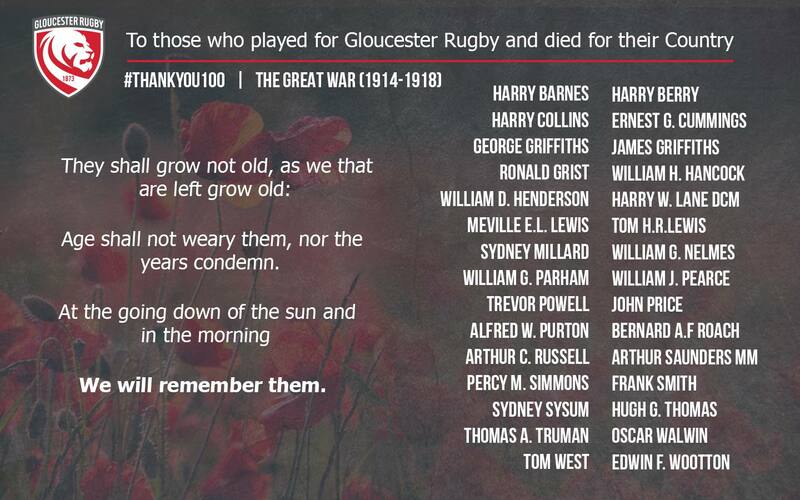 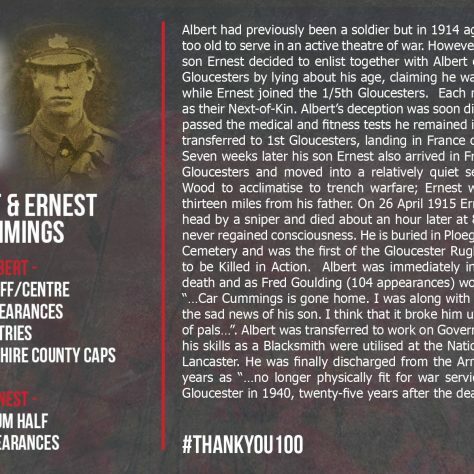 The design and text was provided by Tim Rogers, Tom Burrows and Duncan Wood of Gloucester Rugby Media Team based on information provided by Martin and Teresa Davies (both members of the Gloucester Rugby Heritage Team). 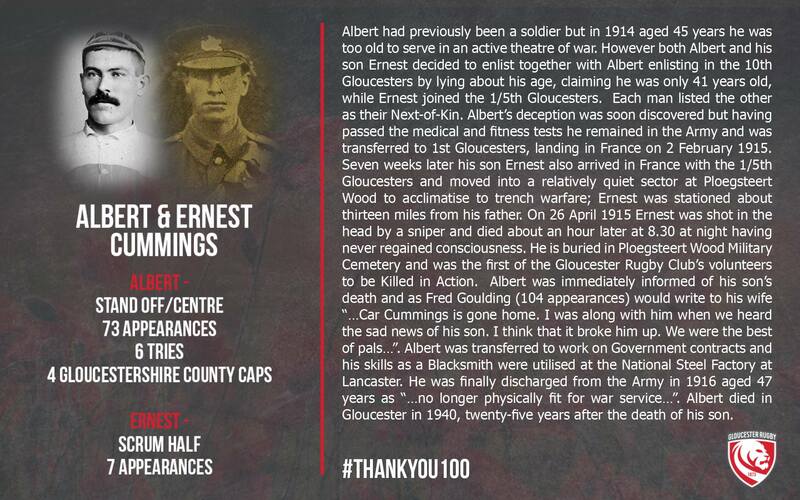 Below Martin describes the research he and Teresa undertook to provide the information.